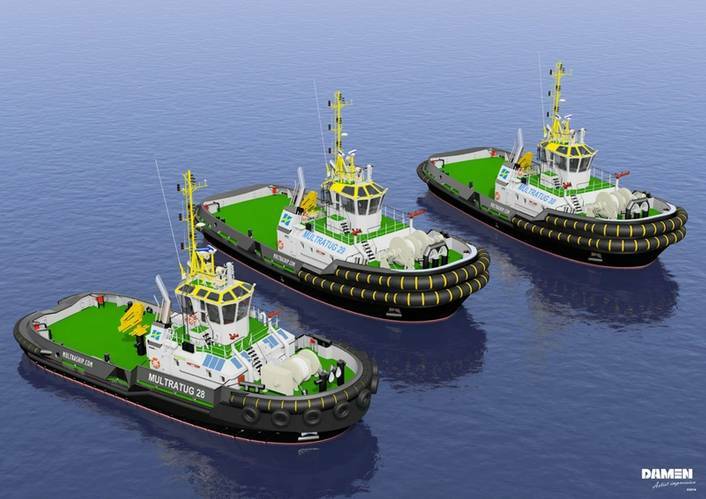 Multraship and Damen Shipyards Group agreed on three new ASD (Azimuth Stern Drive) Tugs, all for delivery to Multraship in 2015. 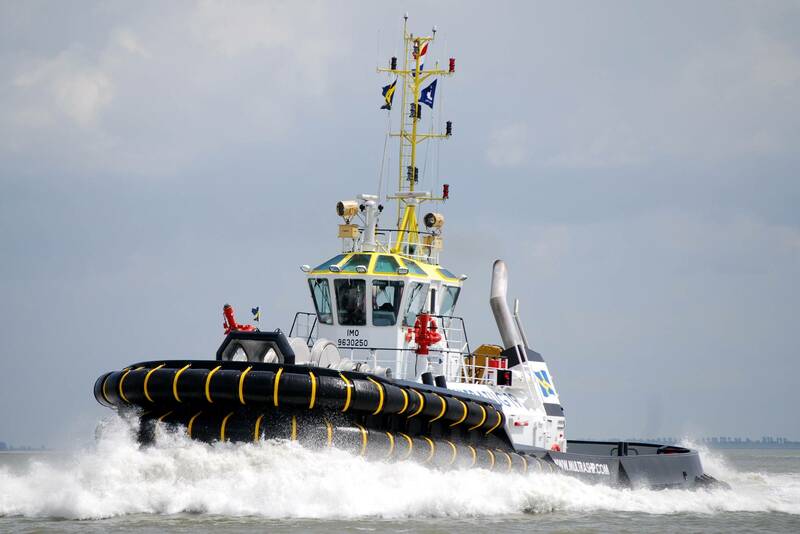 After delivery in Vietnam, scheduled for the end of first-quarter 2015, two state-of-the-art ASD Tugs 3212 will operate for Multraship as sister vessels to the 83-ton bollard pull Multratug 19, which was built by Damen in Romania and delivered in 2012. As part of Multraship’s fleet expansion an ASD Tug 2810 Hybrid is scheduled to be delivered in Romania in first-quarter 2015. With an expected bollard pull of 61 tonnes, it will be the second vessel of its type built by Damen to come into operation. The ASD Tug 2810 Hybrid has a diesel-direct, diesel-electric and battery-powered propulsion system, resulting in reported fuel savings of between 10 and 30 percent and reduced emissions of about 60 percent, depending on how the vessel is used.